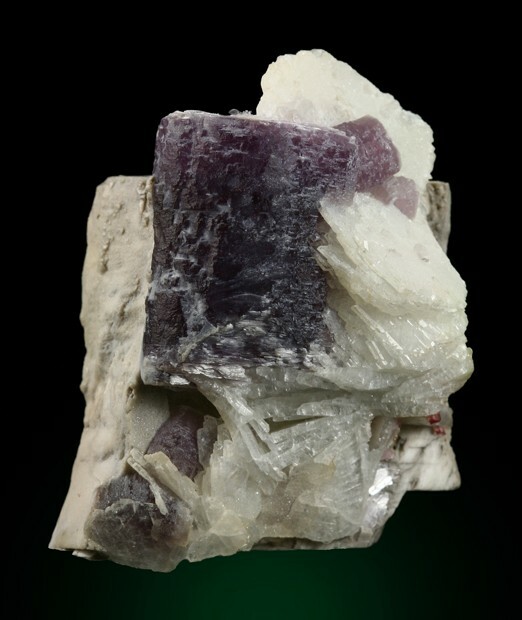 Very fine for this species consisting of a stacked crystal grouping of purple lepidolite 2.5 cm in height set on a matrix of crystallized albite and microcline. Very clean of damage; minor pink elbaite in association as well. Size: 4.7 x 4.1 x 2.9 cm. Ex Gene and Sally LaBerge collection. Ref: The Mineralogical Record 8, 461-475.